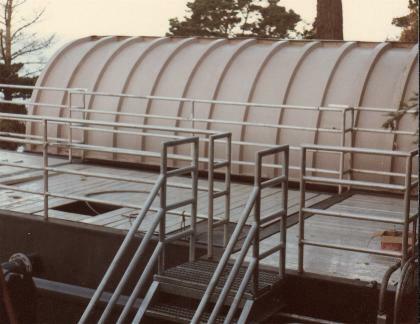 For over 30 years, Purestream, Inc. has been known as a major manufacturer of prefabricated package aeration wastewater treatment systems. This concept has been further developed by utilizing Rotating Biological Contactors to achieve high process efficiency, lower energy consumption, minimal land requirements and low operator attention. In all cases, the components furnished by Purestream, Inc. for the Rotating Biological Contactor Package Plant are completely fabricated in the factory, greatly simplifying installation.